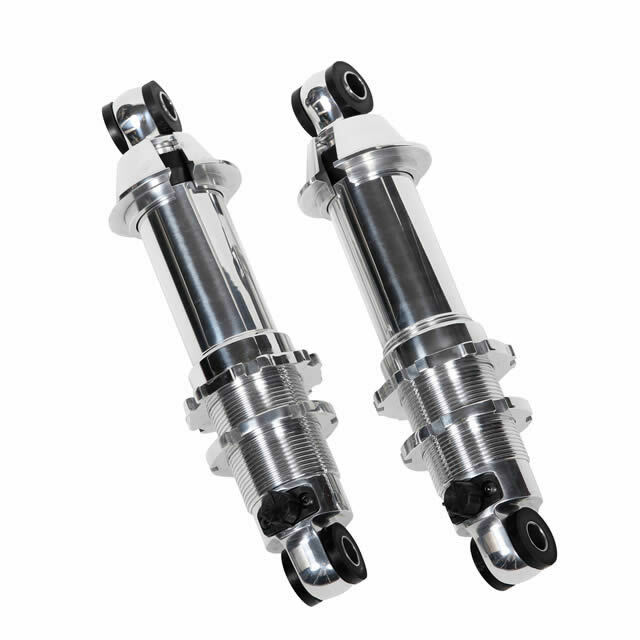 In a vehicle, shock absorbers reduce the effect of traveling over rough ground, leading to improved ride quality and vehicle handling. While shock absorbers serve the purpose of limiting excessive suspension movement, their sole purpose is to damp spring oscillations. 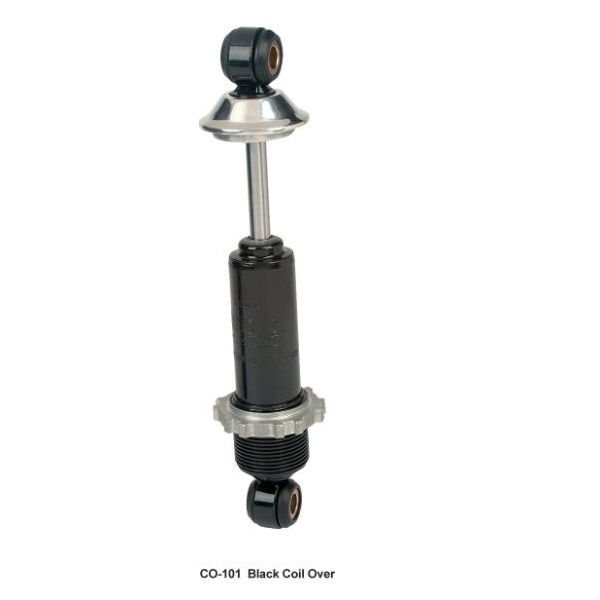 Shock absorbers use valving of oil and gasses to absorb excess energy from the springs. Spring rates are based on the weight of the vehicle, loaded. Some people use shocks to modify spring rates but this is not the correct use. Along with hysteresis in the tire itself, they damp the energy stored in the motion of the unsprung weight up and down. Effective wheel bounce damping may require tuning shocks to an optimal resistance. Upgrade the handling of your 1978-1988 GM G-Body with a new RideTech HQ rear coil-over kit. The RQ series are tuned out of the box for a perfect ride, and fit with our Heidts upper and lower control arms. Kit includes 2 coil-over shocks and springs. Please specify spring rate when ordering. Upgrade the handling of your 1978-1988 GM G-Body with a new RideTech HQ rear coil-over kit. The HQ series are single adjustable and fit with our Heidts upper and lower control arms. Kit includes 2 coil-over shocks and springs. Please specify spring rate when ordering. Update the ride and handling of your 3rd Gen Camaro or Firebird with QA1 Pro Coil double adjustable struts. QA1 shocks offer easy bolt in installations and ride height adjustment. Kit includes two shocks, two 300lb springs and all mounting hardware. Compressed Height - 11.63" Extended Height - 19.38"
Update the ride and handling of your 3rd Gen Camaro or Firebird with QA1 Pro Coil single adjustable struts. QA1 shocks offer easy bolt in installations and ride height adjustment. 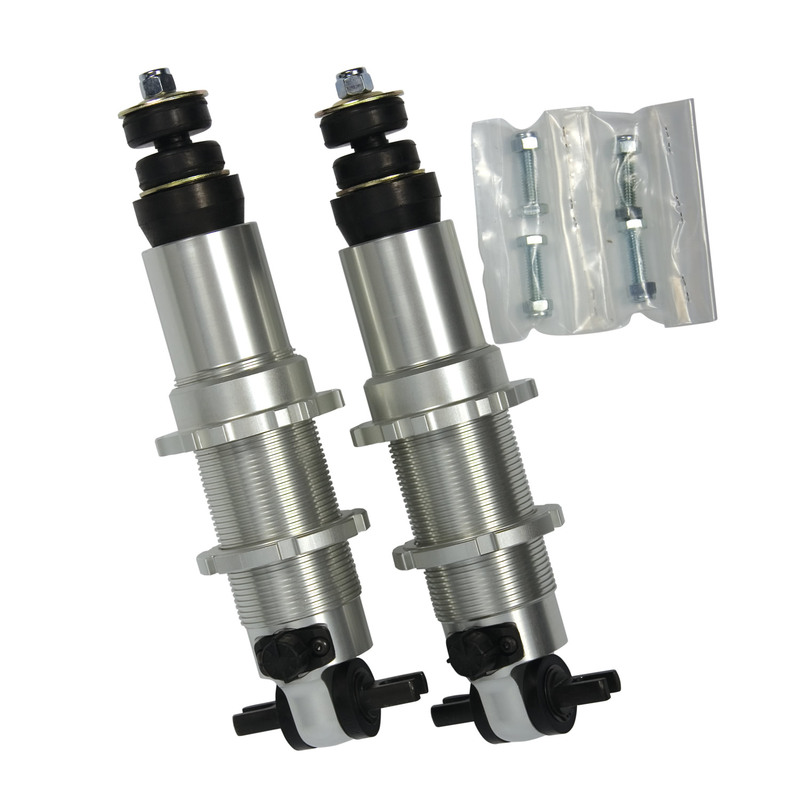 Kit includes two shocks, two 300lb springs, and all mounting hardware. Update the ride and handling of your 3rd Gen Camaro or Firebird with QA1 Pro Coil double adjustable struts. QA1 shocks offer easy bolt in installations and ride height adjustment. Kit includes two shocks, two 350lb springs and all mounting hardware. Update the ride and handling of your 3rd Gen Camaro or Firebird with QA1 Pro Coil single adjustable struts. QA1 shocks offer easy bolt in installations and ride height adjustment. Kit includes two shocks, two 350lb springs and all mounting hardware. Heidts Billet Double Adjustable Coil-Over Shocks 12 3/4" extended 10" compressed. Fits 1967-1969 Camaro/Firebird, 1968-1972 Nova and GM A-Body Cars and other applications. 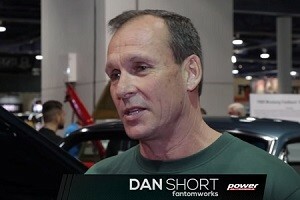 Cut too much off your Mustang II springs, or have your springs settled just a little too much? Heidts Spring Spacers will get you back in shape. Use these 3/4" spacers in place of your upper spring cushions to add just a little ride height back to your ride. 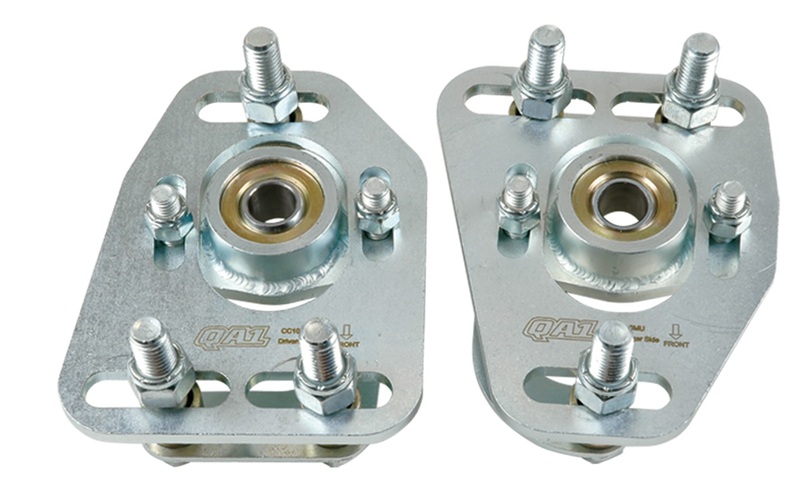 Spring Spacers are sold in pairs. Heidts Front Mustang II Billet Adjustable Coil-Over Shocks 10 7/8" extended 7 7/8" compressed (no springs) Heidts billet coil over shocks provide the highest quality ride characteristics for your Mustang II front end. They are designed for high performance comfort with increased travel for better ride characteristics. The aluminum body has a bright anodized finish. Spring height adjustment is by threaded spring seat and locking ring. Available spring weights include 375#, 500#, 600# and 700#. 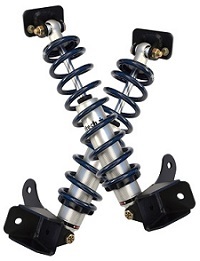 Heidts Front Mustang II Billet Double Adjustable Coil-Over Shocks 10 7/8" extended 7 7/8" compressed (no springs) Heidts billet coil over shocks provide the highest quality ride characteristics for your Mustang II front end. They are designed for high performance comfort with increased travel for better ride characteristics. The aluminum body has a bright anodized finish. Spring height adjustment is by threaded spring seat and locking ring. Available spring weights include 375#, 500#, 600# and 700#. Heidts Front Mustang II Polished Billet Adjustable Coil-Over Shocks 10 7/8" extended 7 7/8" compressed. Heidts Superide ® Billet Coil-Over shocks provide the highest quality ride characteristics for your Mustang II front end. They are designed for high performance comfort with increased travel for better ride characteristics. The aluminum body has a bright anodized finish. Spring height adjustment is by threaded spring seat and locking ring. Heidts Front Billet Adjustable Coil-Over Shocks (Superide/ Superide IRS) 12 3/4 extended 10" compressed (no springs).